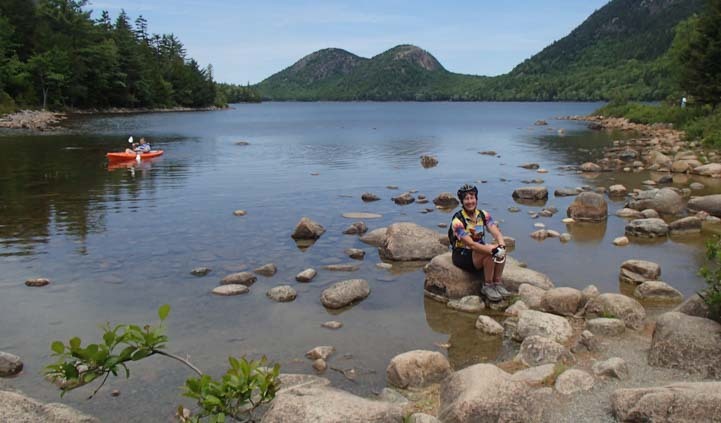 Maine’s Pretty Acadia National Park in Motorhome Magazine! Last summer we enjoyed a fabulous RV trip to the eastern states, and one of the highlights was Acadia National Park in Maine. 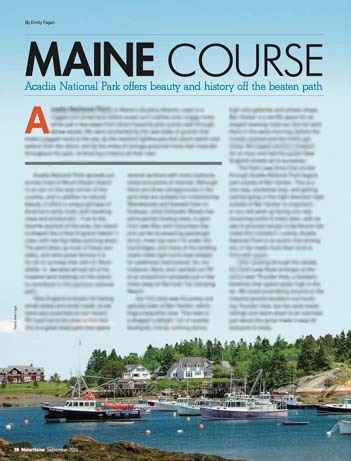 We are very proud that the September 2016 issue Motorhome Magazine features our article about this beautiful oceanfront National Park: Maine Course: Acadia National Park Offers Beauty and History Off the Beaten Path. 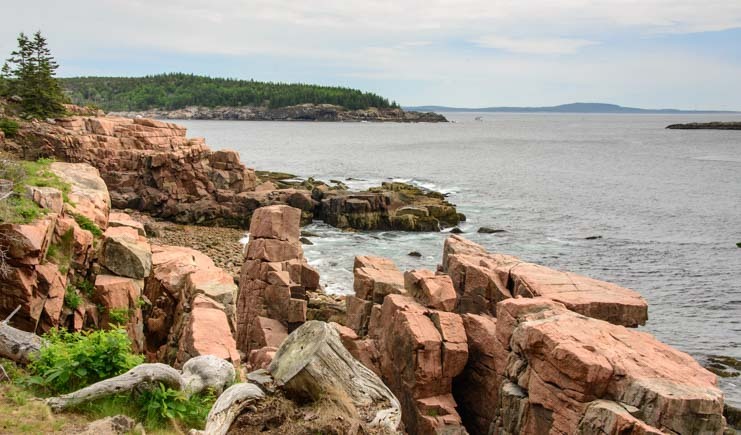 Acadia National Park was the first Eastern National Park to be established, back in July, 1916. The Park takes up much of Mt. Desert Island on the northern Maine coast. 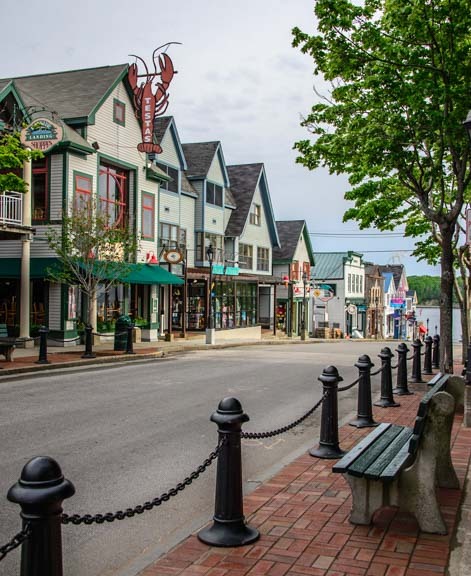 Very close to the Park entrance lies the small, upscale town of Bar Harbor. There are boutiques and tourist shops of all kinds and a pretty waterfront walking path where you can take in the views. 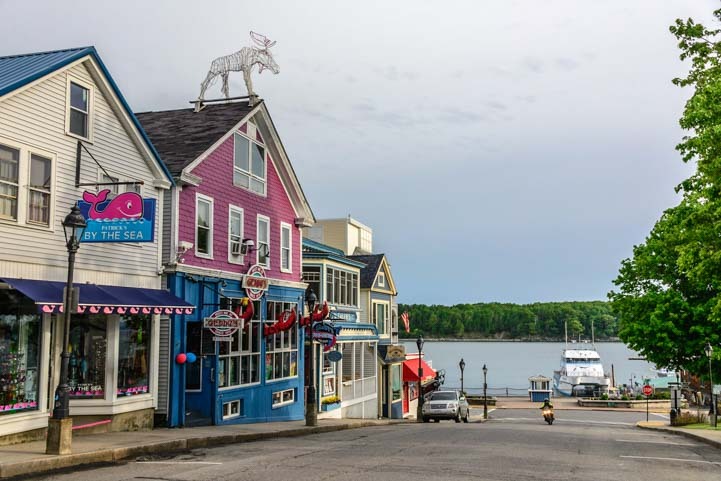 Bar Harbor has lots of boutiques and tourist shops. While Bar Harbor is where the human action is on Mt. Desert Island, the gorgeous scenic drive along Acadia National Park’s craggy coast is where Nature reins supreme. 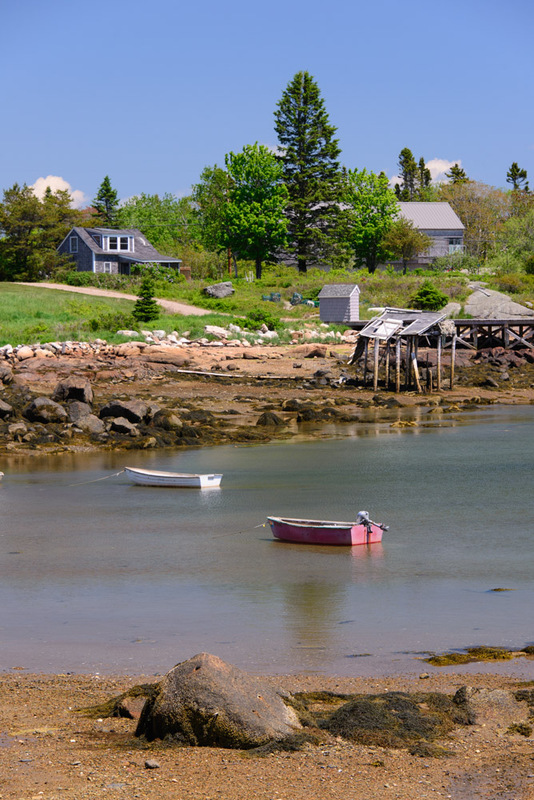 Maine’s coast is all craggy granite boulders that lead to the sea. The beautiful granite slabs and boulders make for some really fun (and easy) scrambling, and there are a number of sights and hiking trails on this very quiet shoreline. 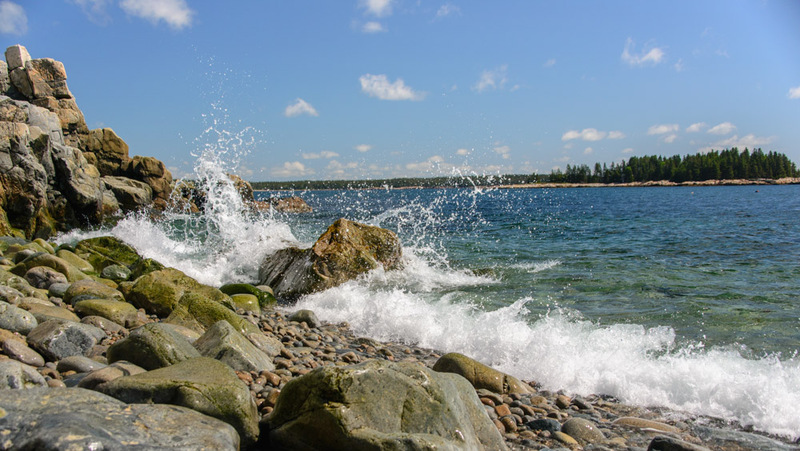 Acadia National Park has a beautiful, rocky shoreline. Mt. Desert Island is a big island with two main lobes, several small towns and lots of little peninsulas that jut out into the sea. Acadia National Park takes up much of the land, and the whole island is fun to explore. Many spots on the shoreline are wonderful for relaxing and soaking in the view. Huge granite slabs on the shore are great for kicking back and enjoying the view! 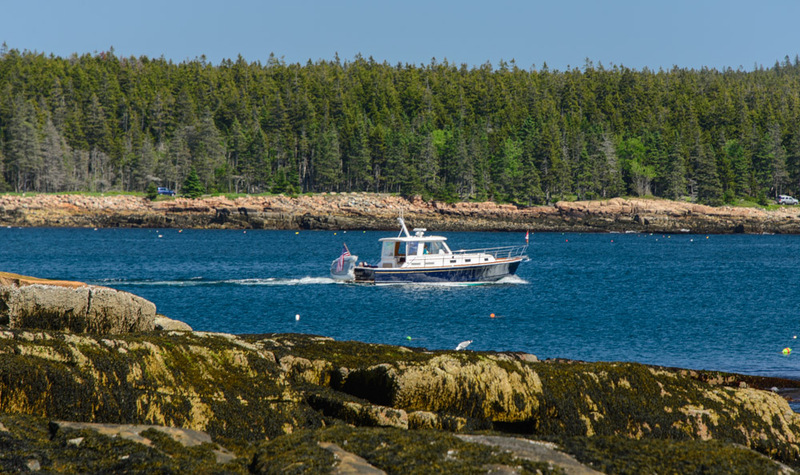 Lobster boats fill many charming harbors in the area, and the Schoodic National Scenic Byway is a gorgeous drive that passes by a few. 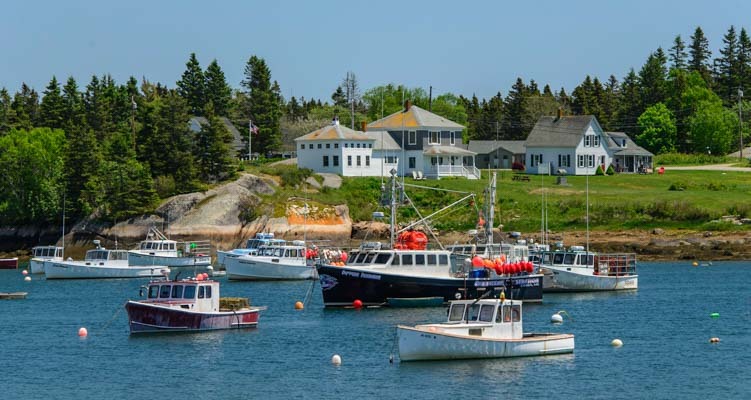 Maine lobster is a delicacy, and the small harbors are filled with lobster boats that catch them. Of course, the lobstermen catch lots of lobsters. There’s nothing like a Maine lobster roll (lobster meat with mayo on a hotdog bun) eaten out on a sunny deck, or an all out Maine lobster dinner complete with a bright red whole lobster on your plate, a bib around your neck, butter melting in a tiny dish over a flame and a nutcracker and pick to get at the tasty morsels inside! There are lobster shacks on every corner and lobster restaurants on every pier! We were floored by the immense lupines that grow wild all over everywhere in the summertime. They range from pale pink to deep purple and they enhance every view in every direction!! 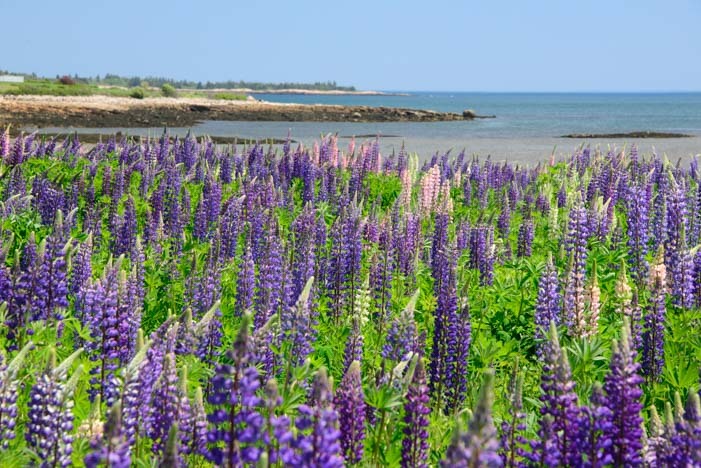 We were stunned by the gorgeous wild lupines growing everywhere. 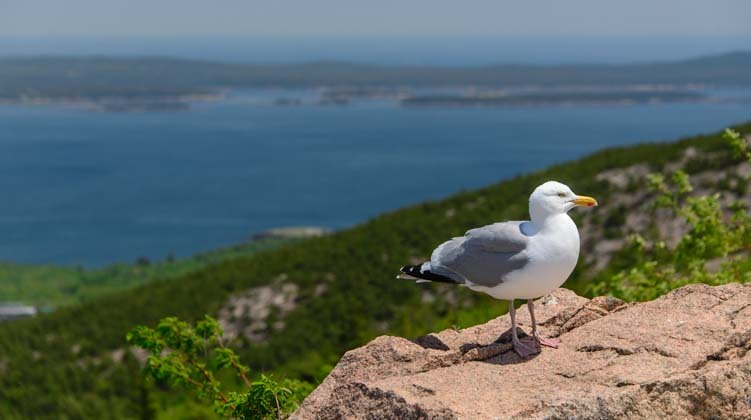 One of the biggest highlights in Acadia National Park is a trip up Cadillac Mountain. At the top we checked out the view while a seagull checked us out to see if we had any food to spare! On Cadillac Mountain we enjoyed the view while a seagull waited for a treat, or maybe a tip! We were very lucky during our stay in Acadia National Park to be there when a national Model A club was holding a rally. 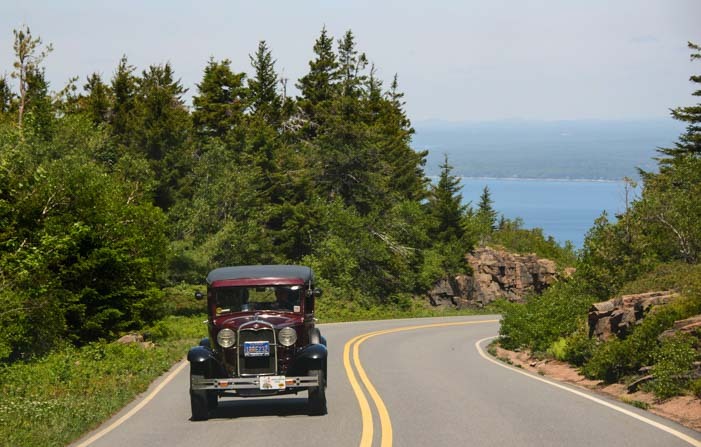 A national Model A rally in Acadia National Park — How cool! There were Model A cars on every road, and we watched them climbing up Cadillac Mountain on roads that were originally built for them. Cute Model A cars were driving all the roads in Acadia National Park while we were there. Cyclists had a ball descending from Cadillac Mountain too, and what a view they had as they flew down. Flying down Cadillac Mountain on a bike would be a lot of fun!! One of the coolest things in Acadia National Park is the Carriage Roads that were built by John D. Rockefeller, Jr. These roads were built to give the rich city folks from New York and Boston a place to go for a carriage ride from their vacation estates in Maine at the turn of the century and were closed to motorized cars. Nowadays, they are wonderful for biking. 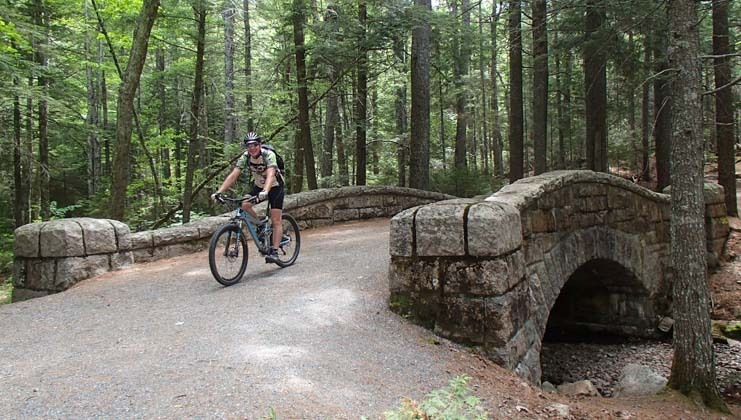 The Carriage Roads are an ideal place for a leisurely bike ride through the beautiful Maine woods. Although we heard that John D. Rockefeller, Jr’s son, David Rockefeller, now age 101, can occasionally be spotted enjoying his dad’s carriage roads in his own horse-drawn carriage, the public can walk, ride a bike or ride in a horse-drawn wagon on these roads that wind through the thick and wonderfully fragrant Maine woods on Mt. Desert Island. 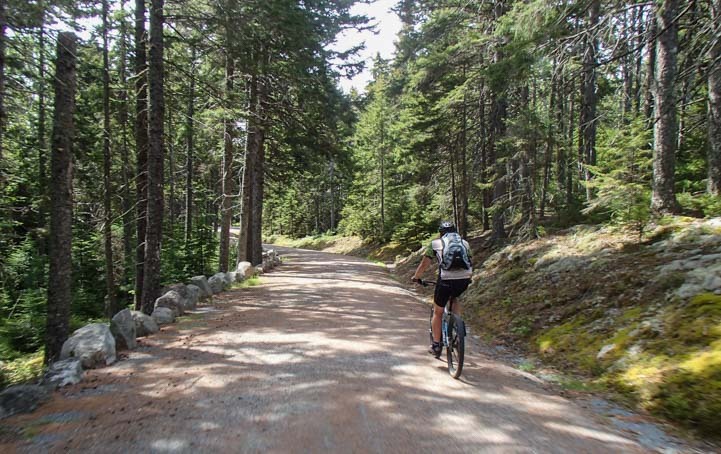 The 50 miles of Carriage Roads are unique to Acadia National Park and can be enjoyed many ways! Besides providing a road system that was free of motor cars, John D. Rockefeller, Jr. wanted all the bridges and tunnels on his roads to have a non-industrial and hand-made flare. Each was built by expert masons and is just beautiful. John D. Rockefeller, Jr. made sure the bridges and tunnels were finely crafted by hand. The Carriage Roads zig-zag for 50 miles all over Mt. Desert Island, and near the center of the island they pass by Jordan Pond. This is a haven for kayaks and has a wonderful little restaurant where you can sit on the deck and enjoy the view. We enjoyed many sunny days during our stay in June, but late spring and early summer also bring a lot of fog to the Maine coast. This can be drippy and miserable, but there is also a special and mysterious beauty that shrouds everything in Maine when the fog rolls in. 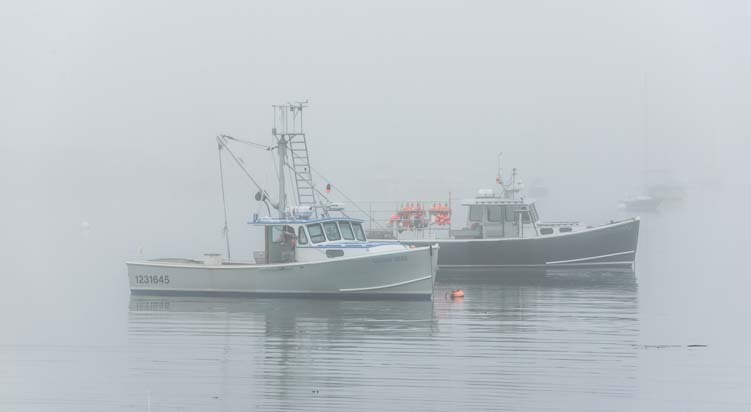 Fog is common in Maine, and it can make for some very memorable and scenic images. A major RV repair like that is disconcerting, to say the least, but northern Maine was a great place to be stuck for a while because it is so scenic, peaceful and calming! Life is very tranquil in Maine! Motorhome Magazine is a terrific monthly magazine that covers all things related to RVing, motorhome ownership and maintenance. We are very proud to be contributors this month. For newer RVers looking to learn about the RV lifestyle, learn about motorhomes and get ideas for cool travel destinations, Motorhome is a great resource. And for seasoned RVers who already know the ropes, there are lots of tid-bits to be gleaned from their pages too. 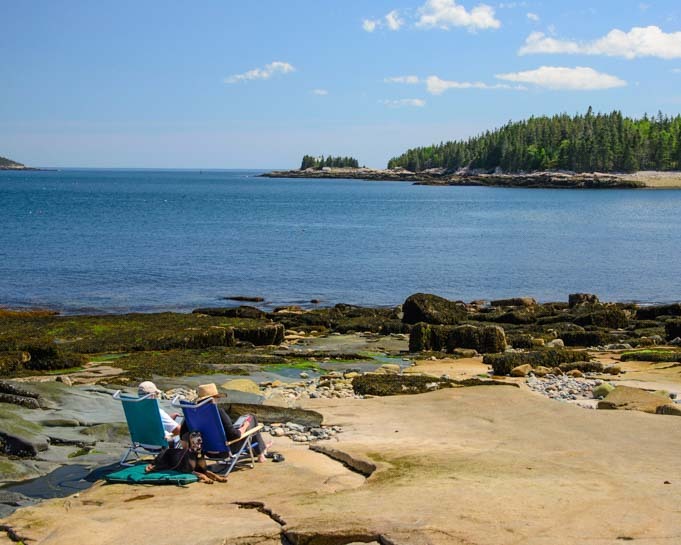 If you are planning an RV trip to Acadia National Park or elsewhere in Downeast Maine, the blog posts below from our RV travels to the area may get you inspired and help with your travel planning. 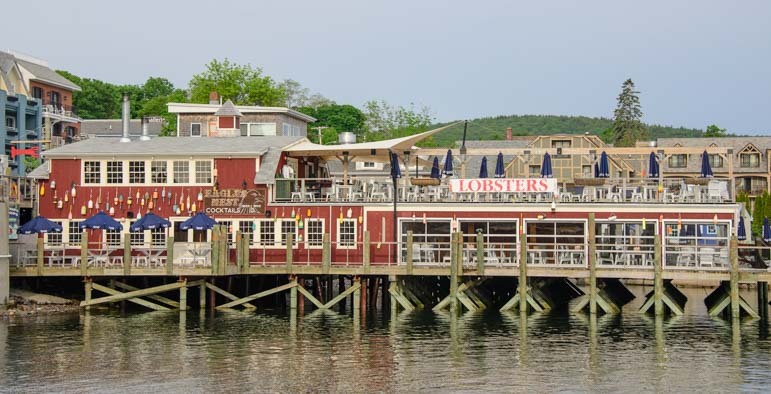 Bar Harbor Maine Tourist Info plus Another Site Here!